If you’re a hypnotherapist, you already know how useful hypnosis is, particularly for anxiety, complex clients or emergency cases. And if you’re a psychotherapist, counsellor, coach, or other practitioner, you probably want to know what all the fuss is about. Despite its, shall we say, ‘unusual’ reputation, hypnotherapy is simply a way of tapping into the way the mind already works. And because you’re working with what nature provided, it’s much easier to help people adopt more useful ways of living. And not only that, but the ‘therapy’ part of ‘hypnotherapy’ right is just as important as the hypnosis itself. That’s why we have refined more than twenty years of experience delivering hypnosis training into Uncommon Hypnotherapy an online training course both for practitioners learning hypnosis for the first time and for hypnotherapists who are interested in the Uncommon way of doing hypnotherapy. Learning about hypnotic communication, with all its intricacies, really is learning a new language – the language of hidden human experience; the real truth behind what people say and do. And when you become fluent in conversational hypnosis, you gain access to this hidden world. These days, hypnosis is often dumbed down into ‘speak softly and order people around’, but it wasn’t always like that. The teachers within tribes, communities, and societies have always understood how to talk so people will listen. And absorb. So, true hypnotic language isn’t ‘close your eyes and do as I say’. True hypnosis is subtle and indirect language that can be blended into any situation and works artfully with the unique qualities the client brings with them. It’s deeply respectful because without that respect, it won’t work. The best hypnosis is artful, colourful and respectful. Many hypnotherapy courses will load you down with dozens – if not hundreds – of different inductions. And while scripts can be useful, we need to move beyond that stage quickly if we are to help the greatest number of people. With the Uncommon Hypnotherapy course, you’ll become fluent in hypnotic language so you can hypnotize anyone in the best way for them to be hypnotized, according to their own unique personality and experience. 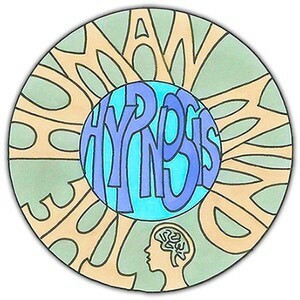 Hypnosis is at the core of human psychology. The ‘Uncommon’ psychology you’ll learn from this course will illuminate much more of human behaviour that may have previously seemed weird or unpredictable. You’ll know which approach and techniques will work best with your client’s problem, upping your success rate and making you a much more confident therapist. You’ll be able to fine-tune your communication to get the outcomes you want in both the therapy room and your own relationships. That’s the real beauty in Uncommon Hypnotherapy. And as a bonus, you’ll gain much greater control over your own emotional state, too. Learning conversational, indirect hypnosis is like speaking a language fluently instead of using a phrasebook. If you have a phrasebook, you can get relatively far in a foreign country. You might be able to book a hotel for the night. But as soon as someone asks, “Do you want a view of the river?”, you’re totally lost. When you speak the language fluently, it’s natural and easy to respond. Ask any therapist who has been able to confidently use hypnosis for any length of time. They’ll tell you that even if they are unsure of how to help a client, the ideas start to flow once the deeply relaxed phase of hypnosis begins. Roger and I are also the co-founders of Hypnosis Downloads, the world’s busiest hypnosis site. Thousands of hypnotherapists buy our scripts every year, and most are repeat customers. And more than 10,000 practitioners subscribe to my therapy skills newsletter Clear Thinking. We know that most therapists need less complexity and more clear ‘organizing ideas’ to be effective and confident. In the Uncommon Hypnotherapy course, you’ll learn why the hypnotic state is the optimum state for learning and for changing thinking and behaviour. Based around indirect ‘Ericksonian hypnosis’, the course will give you highly flexible hypnotic language skills. Hypnosis is often dumbed down and explained as speaking softly and ordering people around, but that’s missing the point almost entirely. True hypnotic language isn’t ‘close your eyes and do as I say’ but artful, subtle, and indirect. With your new in-depth knowledge of psychology, you’ll know exactly what approach and techniques to use with your clients. No need to find a script that fits the client’s problem because you’ll be able to use hypnosis to treat each client as an individual. Being a fly on the wall, watching techniques being performed, is a great way to learn. That’s why Uncommon Hypnotherapy contains several live recordings of hypnosis sessions for you to watch. We’ve also subtitled the videos with what the hypnotherapist is thinking as he or she speaks, so you’ll get an even greater insight into how these approaches are constructed and delivered. While we’ll give you access to watch and complete the course online, if you opt for the physical version of the course, you’ll also receive your course workbook and a pack of DVDs that will look good on your bookshelf. Basic hypnosis courses teach students how to use pre-written hypnosis scripts. This course teaches you how to integrate the language patterns and techniques into your everyday conversation – no scripts required. You will learn how to confidently hypnotize someone and communicate with their unconscious mind as naturally as you would chat to a good friend. Your client’s Primal Human Needs and how to use hypnosis to help meet them. We’ve subtitled commentary at points throughout the live demonstrations so you know exactly what the hypnotist is thinking as he or she uses different techniques. As well as observing hypnotic phenomena like eyelid catalepsy and hand levitation, you’ll understand how they come about, how to create phenomena, and how they can be used to further therapeutic goals. 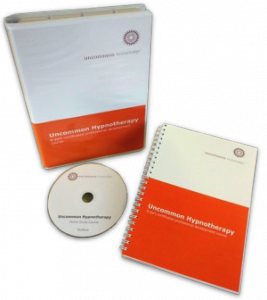 Guiding you through the Uncommon Hypnotherapy course is our 121-page booklet (sent to you by post if you opt for the physical version, and also available online in PDF format) there for resources and reference. It has transcripts of the video and audio lectures, so if you’re more of a reader than a watcher or if you just need to check something, then the book is there for you. Be sure to tick off your learning checklist as you go! Join your fellow students from this and our other courses to ask Mark questions about the course and any therapy-related queries you have. You can ask your questions live on the call or submit them beforehand and if you can’t make the live calls, they’ll be available to download the following day (in mp3 format). 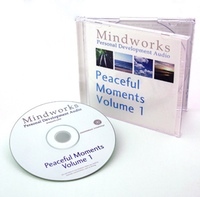 Peaceful Moments is our popular program that hypnotically leads the listener into a deep and restful trance state using four different inductions, each around 15 minutes long. We’ll give you the annotated scripts, as well as the audio program, so you can see what techniques and effects are being used in the language. Feedback from our students over the years has shown this is a very effective way to learn. If you’re not happy with the quality of Uncommon Hypnotherapy, just let us know within three months of purchasing it and you will get a full refund. We have such faith in our products that we’re happy to offer this 90-day guarantee period for all of them. We created this 90-second cartoon so you can understand how hypnosis works. Click below to watch the video. The difference between old-style, authoritarian, ‘you are getting sleepy’ hypnosis and modern, indirect, Ericksonian, ‘conversational’ hypnosis. Why telling people they are wonderful doesn’t work and what to do instead. How to use ‘sleight of mouth’ to get your message considered. The fundamental principle of unconscious pattern matching and the insights it gives us into emotional problems – such as phobias or addictions – and all human behaviour. Immediately get beyond the ‘reading scripts’ stage where so many hypnotherapists get stuck. Milton Erickson’s utilization principle of changing the approach to fit the subject – so you can be successful with anyone. These testimonials come from happy customers who bought our Uncommon Hypnotherapy course (previously called Hypnosis Unwrapped). (2) I was previously helping a friend with PTSD to sleep as she was incredibly sensitive to distractions during the night (neighbours, snoring, things in the house that go bump [or creak])… but on a nightly basis. Thanks to this course and the confidence to expand my boundaries, I gave her a metaphorical story about a cute cat being terrified of the mailman, feeling bangs through the floor and sounds from outside… and then there was an wise owl on the windowsill saying “What are you doing?” and… well not enough space for the rest of the story, but needless to say it’s had amazing effect so far: three restful nights sleep with no assistance. (3) This course has opened my eyes to self-improvement in a new way… where you really get to say, who do I want to be? how do I want to react? For me, I’m starting by choosing to connect to people I’ve too easily disconnected from, and designing the habits that keep me in touch with them out of genuine interest and care. And just to top it off, my sense of humour flows quicker and I’m finding my creative mind is giving me new ways to look at things I’ve already experienced, things I’ve yet to experience in the physical form, and even things I’m experiencing in the face of strong emotion. So, thank you Mark, thank you Roger and the excellent team you’re working with… this is an excellent course, even for the non-practitioner. I would strongly recommend this course to anyone who was focused on delivering therapeutic results safely and effectively. I loved this course. Thanks so much. Mark, I love your ease with words – your grace with language and your ability to hone in on just what your clients need. That’s what I got most out of the course… how much more effective the process is when you throw away the script and listen to the client from the heart and head! I’ve been doing intuitive readings for years via email and in person, and have had many clients tell me that something I said – or wrote – prompted tremendous change. Yet I still struggled to write a “perfect script” during my hypnosis sections and healing groups. Not any more. Thanks for opening my eyes to a “new way.” I am inspired by you (and Roger) as much as by the material itself and have made it my goal to develop the same conversational facility in hypnotherapy that you have over the next year or so. I’ve had many hypnotherapy teachers over the year and always left the course feeling that something was missing, prompting me to read endlessly on my own. You were the first one to make me sit up and say, “YES! This is the way.” I’m working on my healing group flyer now and am inspired to move away from intuitive readings/alternative healing towards hypnosis largely thanks to all of the seeds that you planted. Kudos! This story came from Meredith Easton Mendes, Founder of The Healing Garden from East Providence, Rhode Island, USA. This story came from Monica McIntyre, M.A., R.M.T who is a Reiki Master from Oklahoma, USA. I have just completed the course, and have LOVED it. I found having finished the one before this (Uncommon Hypnosis), helped tremendously with completing this course more quickly than I anticipated, so that’s great. It means I’ve retained the information from the first course, which this one reflected upon. I’m very pleased and very happy with the courses through Uncommon Knowledge. I found the courses so professional, interesting and informative. Again, I love being able to watch the videos or listen to the MP3’s, and pause or stop them to write notes, or go back over. I truly feel it’s a better way to learn, as opposed to a classroom where even an outside noise/distraction can have students missing a vital piece of information. This way it’s all here for me and I can go back over it whenever I like. Marvellous!!! I commence my Diploma in Hypnotherapy and Psychotherapy tomorrow, so thank goodness I have all this wonderful background and information. I am positive it will help me to become an even better Clinical Hypnotherapist, that I can use in my Business: Tammy’s Tarot and Healing (which is all about healing and helping people through guidance and assistance).. mostly Reiki/Reflexology, Tarot and shortly hypnotherapy. It’s been a true pleasure connecting with Uncommon Knowledge. Thank you. This story came from Tammy who is from Australia. If you, like me, believe every client must be treated as an unique individual, and cannot be dealt with by cookie cutter approaches, then you’ll find Uncommon Hypnotherapy hugely beneficial to your therapy work. P.S I know this price seems incredibly low for all the resources you’ll receive but I want this knowledge to reach as many people as possible. And as always, this course is covered by our rock-solid guarantee. I’ll see you in the course! 1) Once you’re done with the course and they have your money, do they give you the opportunity to respond to a survey that asks your honest opinion on how to IMPROVE their course(s) to better serve you? 2) Do the course creators provide the ability to communicate with them through the course’s portal while you’re actually taking the course? But guess what… Roger and Mark hit ALL of the above points and then some! William Johnson, Rewind practitioner, Chicago, Illinois, USA. I was hesitant at first over the cost of the course. After taking the plunge, I was impressed by the amount of material made available to me. The resources seemed endless, I got so much more than I expected. I’m looking forward to the next one! Thank you all at Uncommon Knowledge for a very well produced, valuable, enlightening, and inspiring course. As a practising Clinical Hypnotherapist and Naturopath, your course was a great refresher and reminder of many tools and skills of therapeutic practise along with some new (to me) simple and practical ones as well. I also enjoy the tone, generosity, and integrity of your company with so many free and helpful tips and downloads. I will continue to spread the word amongst my colleagues and friends. I also feel so much more confidence with the technical side of doing an online course. Your website and structures were so easy for me to ‘get around’. Thank you, thank you, thank you. Susan Crozier, Clinical Hypnotherapist and Naturopath, Queensland, Australia. (1) I never realised what level of physical and mental stress I was operating at daily until I started to go deeper into a self-hypnosis practice (four days so far… feeling very good). (2) I was previously helping a friend with PTSD to sleep as she was incredibly sensitive to distractions during the night (neighbours, snoring, things in the house that go bump [or creak])… but on a nightly basis. Thanks to this course, and the confidence to expand my boundaries, I gave her a metaphorical story about a cute cat being terrified of the mailman, feeling bangs through the floor, and sounds from outside… and then there was an wise owl on the windowsill saying, “What are you doing?” and… well, not enough space for the rest of the story, but needless to say it’s had amazing effect so far, three restful nights sleep with no assistance. (3) This course has opened my eyes to self-improvement in a new way… where you really get to say, “Who do I want to be? How do I want to react?” For me, I’m starting by choosing to connect to people I’ve too easily disconnected from and designing the habits that keep me in touch with them out of genuine interest and care. Andrew McAuley, Pharmacy Dispenser, Basingstoke, England. I found the Uncommon Hypnotherapy very interesting and well presented. As a Professional Counsellor, I found that the hypnosis skills I learned help me treat clients on a deeper level. Many counselling skills help on a practical and cognitive level, but hypnosis addresses the spontaneous ‘feeling’. Which results in a far more thorough, and complete, holistic treatment. I always love taking your courses! I find them invaluable for assisting me to truly understand complex concepts which in turn assists me to communicate those concepts to clients. It’s amazing the shifts a client can have prior to hypnosis just through basic education and building rapport. Thank you Mark & the Uncommon Knowledge team. Not only are your courses first rate, your customer service is exceptional! “I was certified in 2000 by a school that taught the “National Guild of Hypnotists” (NGH) agenda. I enjoyed the classes but felt that much of the training was too close to stage hypnotist techniques. “During one class, the guest instructor used a different approach — a permissive induction, similar to the techniques you teach. I fell into a much deeper trance than I had when our regular instructors used a more authoritarian approach. Instead of feeling badgered and intimidated into a trance, this guest instructor seduced me into a trance. In fact, I felt myself going so deeply that I pulled back a bit, apprehensive about unchartered territory. “At the end of the entire course, even though I had a certificate in hand that said I was a certified hypnotherapist, I knew that my training had just begun. Since then, I’ve focused my study on those “Eriksonian” techniques that my school merely touched upon but intrigued me the most. “My never-ending quest brought me to your online school via your sister site– hypnosisdownloads.com. (I had already found that site to be a wealth of information.) I’ve really enjoyed your course — Mark and Jill are great teachers. You’ve helped me understand the thought and reasons behind the tools and techniques — not just what to do, but why. “I’ll still be learning from your study materials for some time, as I go over this information again and again. I like your multi-media approach to teaching — videos, audio files, written materials. In particular, I think the “Hypnosis Unwrapped” DVDs were the cornerstone of the course. James Stewart, Salt Lake City, USA. Rose Morgan, Hypnotherapist, Christchurch, New Zealand. “The course presentation very integrated, compact, could always refer back to material before or after sessions, very challenging at times for me – out of my depth at times, especially after sessions. “It gave me an opportunity to learn much about myself moving out of comfort zone in the first instance and taking a metha-stance to understand my responses [in relation to my basic needs, for example]. 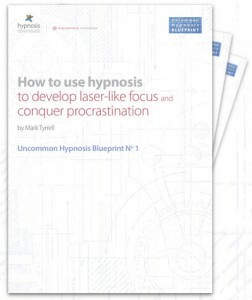 “The course was far more than just content – or about the ‘how to’ do hypnosis for me. That in itself has been very useful and fulfilling of course, but new concepts about the role of [self] hypnotic induction really enriched my way of thinking as a whole, e.g. on my personal spiritual meditation level; as well as understanding the significance of language [metaphor, narrative, reframing, prescribing of symptom, double bind] in therapy, and checking on hypnotic content in everyday conversations. I also tried self hypnosis during a migraine attack and minimised the irritating light flashes in my eyes. “This course has good structure and clear building blocks to enable participants to acquire the knowledge and skills needed to get started with hypnosis. It was also an eye opener to learn that even shallow trance states can be considered as useful in hypnosis and that repetition would eventually pay off. Louis van der Bank, Australia. Lynda Curlette, Nanton Alberta, Canada. 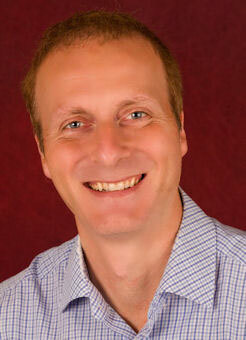 “I would like to say that this hypnosis home study course is very well done. You can tell just looking at it that someone took a lot of time focusing on every little detail. Charlaine Skinner-Stahan, RP and ICADC, Ontario, Canada. Neither course provides an official qualification in professional hypnotherapy, as we’re unable to evaluate your skills in-person. Consolidating your knowledge through a short refresher of what you have learned so far. We will then describe the wider implications of pattern matching and anchoring in everyday life. This naturally occurring process ‘glues’ emotion to a stimulus – a person, an object, a situation, even a thought. He discusses why these modes of communication appeal directly to the unconscious mind and briefly explores how ‘double binds’ can hold problem behaviours in place. 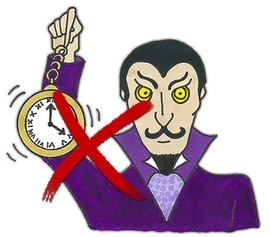 Indirect hypnosis – we talk about resistance, a term often used in psychological circles to describe a person who seems unlikely to change or is displaying behaviour that consistently opposes what the therapist or teacher is saying. No. Because our training is done online and we’re unable to observe your practice of hypnosis techniques and give feedback, this course is not a qualification in professional hypnotherapy. This course is for professionals who want to improve their therapeutic skills or for interested laypeople. We’ve attributed 12 CPD hours to this course and we’ll confirm this in our covering letter when we send your completion certificate. NLP (neurolinguistic programming) is a system that was created from the study of hypnosis and particularly Milton H. Erickson, perhaps the greatest therapist of modern times. Uncommon Hypnotherapy fully embraces the work of Erickson and so the approaches you’ll learn here encompass NLP techniques. You’ll have access to the online course for one year. Of course, if you opt for the physical version of the course you’ll have your course pack (which is mailed to you) to keep forever. You access the course by choosing your preferred option then enter your payment details. Your log in details will be emailed to you almost immediately. Once you’ve got your log in details, you can access the course materials, including a welcome video from Mark, and the comments section where you can introduce yourself to your fellow students. You can begin Session 1 immediately, where you’ll see a checklist that shows what you need to do to complete that session. This includes listening to the audio lecture, reading supporting materials, and watching videos. During the session, you’ll learn about how hypnosis is central to understanding all human psychology, what hypnosis is, and its connection to dreaming. We also talk about pattern matching, how the unconscious mind works, and how to do a conversational indirect hypnotic induction without once directly asking someone to go into hypnosis. We also look at the powerful principle of utilization. As you go along, you ask any questions in the comments boxes you’ll find on every page, or save them up for the monthly live Q&A call. We trained people face-to-face for a decade while we ran our diploma course at Brighton University, in the south of England. When we moved our training online in 2008 in order to reach a worldwide audience, we were a little sceptical. We assumed people wouldn’t learn so well online; that live training had to be more effective than online training. But, as it turns out, we were wrong. In a traditional face-to-face training, you see the demonstrations only once and hear the presentations only once. And, inevitably, when you go away and try to implement your new skills, questions come up. But, of course, the training has finished, so you can’t ask them. With an online course, you can try things out, then come back to the group to ask any questions you have, review the relevant part of the training, and then go back and give it another shot. We’ve found people who learn online learn more deeply and thoroughly, which is why we now train people internationally. 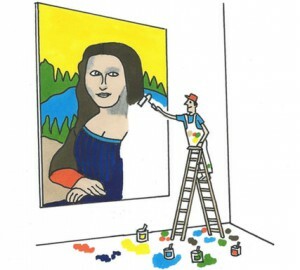 The process of learning, trying something out, then coming back with questions and reflections seems to work incredibly well when learning new therapy skills. A lot of the people who take our courses are not very tech-savvy (therapists don’t seem to be computer people, in our experience!). That’s why the team here at Uncommon Knowledge has designed the online training platform to be as easy to use as possible. So if you can use a mouse, use your email, and type, you’ll be able to do this course. In addition, your course leader Mark Tyrrell is a self-confessed technophobe and so Uncommon U has been created with him in mind. We also have a friendly support team on hand to help you with any questions you may have. And don’t forget, if you opt for the physical version you’ll also get your course pack in the mail so you can read through it offline if you prefer. When it comes to teaching hypnosis, we’ve covered a lot of miles. In the beginning, there was our workshop ‘How to Use Hypnosis to Help Yourself and Others’, which we taught to over 2,000 people over 15 years or so. Then came our hypnotherapy diploma course and accredited UK course, which trained hundreds of hypnotherapists who are still practicing around the UK. We’ve spent a lot of time refining how we teach hypnotherapy and the psychology you need to make it most effective, and we think we have created something quite special in Uncommon Hypnotherapy. 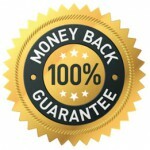 But, of course, you are really the only one who can make that judgment, which is why all our courses are backed by our 90-day money back guarantee. So you can give it a try in confidence that you’re protected. We’ll do our very best to get back to you within 24 hours – we manage this over 95% of the time. When you submit your query, we’ll send you an automatic response confirming receipt of your query. If you don’t see this email in your inbox, please check your junk or spam folder. By Phone: +44(0)1273 776770 9am-5pm GMT Mon-Thu, 9am-3.30pm Fri. For the current UK time, click here. Outside these hours, you may leave a message with our answering service and we’ll get back to you as soon as we can. Within the UK, calls are charged at normal rates; for international rates, please check with your service provider.